Die AeroSling Slingtrainer stammt aus Deutschland. Die AeroSling ist ein effektive, mobilen Trainingsgerät, wo sie überall trainieren können. Es hilft Ihnen Kraft, Ausdauer und Koordination der Muskeln zu verbessern. Die aeroSling Slingtrainer ist sehr vielseitig, einzigartig und guter Qualität zu einem günstigen Preis!Die AeroSling Slingtrainer stammt aus Deutschland. Die AeroSling ist ein effektive, mobilen Trainingsgerät, wo sie überall trainieren können. Es hilft Ihnen Kraft, Ausdauer und Koordination der Muskeln zu verbessern. The AeroSling Revvll one 552001 combines all the traditional advantages of Rope climbing machines with the advantage of a mobile pulley. 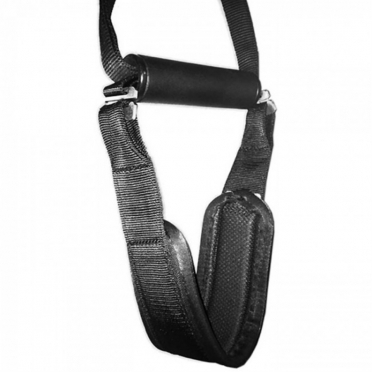 The Revvll One is the only mobile rope climbing machine lesser than 5 kg in the market. The Revvll is a high tech aluminum rope climbing with six different resistors, which push and pull movements be incurred. On the AeroSling Versoframe 1 Top-element 550510 can be attached 6 slingtrainers. 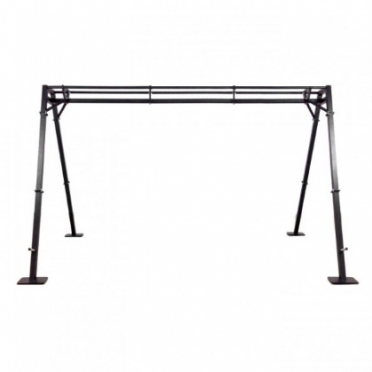 The frame can be expanded with a Top-element to a maximum of 4 meters. On the AeroSling Versoframe 2 Top-elements 550512 can be attached 8 slingtrainers. 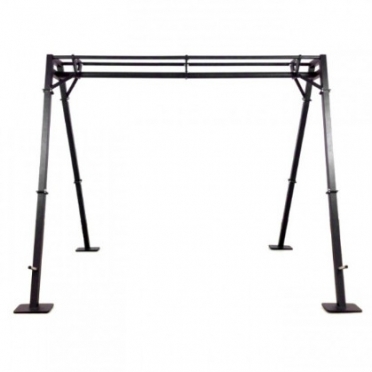 The frame can be expanded with a Top-element to a maximum of 4 meters. 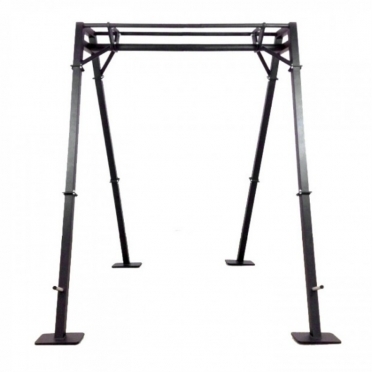 On the AeroSling Versoframe 3 Top-elements 550513 can be attached 8 slingtrainers.The frame can be expanded with a Top-element to a maximum of 4 meters. The AeroSling Top-element 550520 can be expand with a Top-element, you can attach 6 slingers on this frame. The AeroSling Flex Clips 550145 can now combine both handles together.The clips include two Flex Clips and have a maximum weight of 60 kg each. 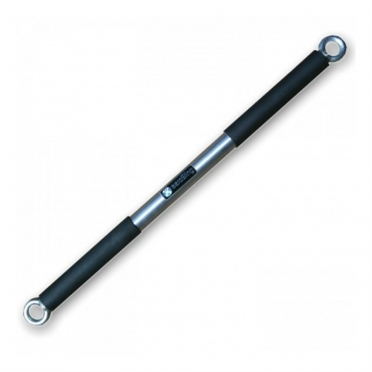 The AeroSling Row-stick 550180 can be used as an accessory for aeroSling ELITE Sling Trainers.With the Blackthorn Rowstick you will lift your sling training to the next level and extend it with hundreds of new exercises.Through the Blackthorn Rowstick the aeroSling Sling Trainer becomes a very versatile pull-Up bar. 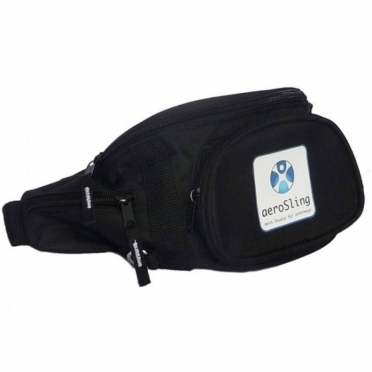 AeroSling Hip bag 550400 is a extra accessory for the aeroSling Elite.The Aerosling hip bag is the ideal way to carry a aerosling with you while traveling. There is enough space to take some other small items with you. 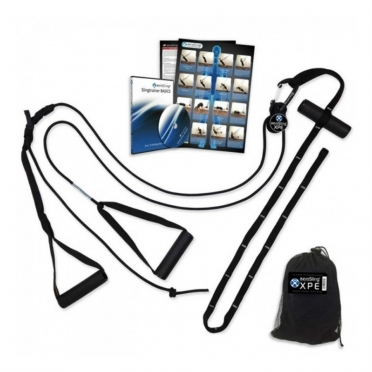 The AeroSling Slingtrainer XPE 550012 has fixed handles and can not be replaced by accessories. The aero ling XPE, is the suspension trainer with an integrated pulley system that allows you to perform your workout, anywhere and anytime! 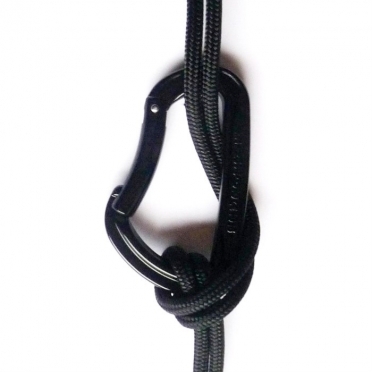 With the AeroSling Carabiner Black you can place your AeroSling on a fixed length. 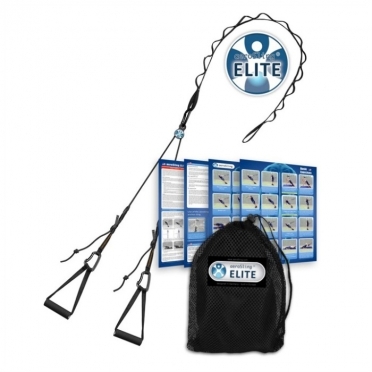 The AeroSling Elite Sling 6 pack 550016 is extremely versatile, unique and high quality for a low price (6 pack)! The AeroSling Slingtrainer is originally made in Germany. This mobile trainingdevice where you can have a complete workout everywhere! 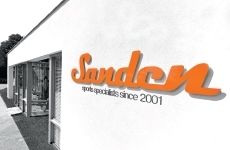 It helps to increase your strenght, stamina and muscle coordination. The AeroSling Slingtrainer is originally made in Germany. This mobile trainingdevice where you can have a complete workout everywhere! It helps to increase your strenght, stamina and muscle coordination. 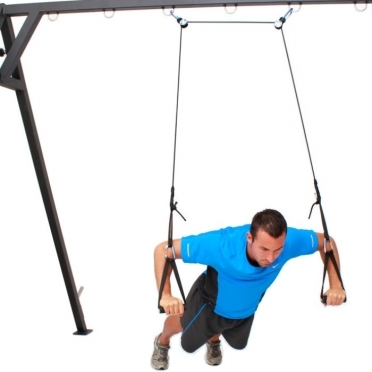 The AeroSling Slingtrainer is made of high quality materials and is suitable for daily and intense workouts. 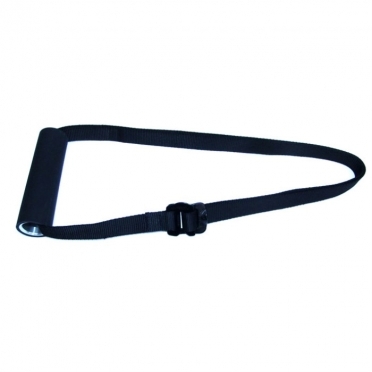 You can adjust the Slingtrainer easily and quickly for endless training possibilities. 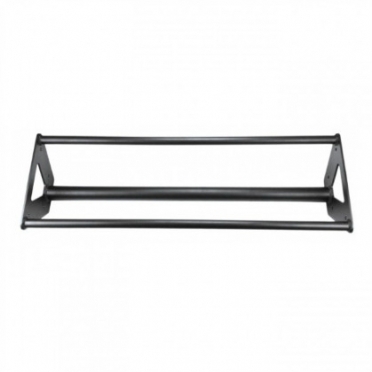 Create your own fitness station wherever you want wiht the AeroSling T-mount. 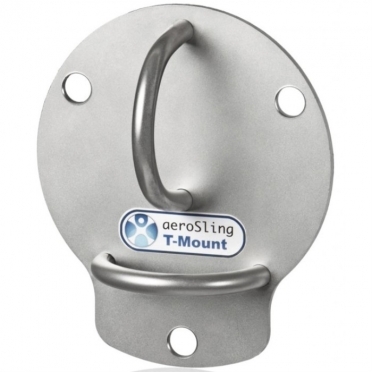 The T-Mount can be confirmed on you wall or ceiling and creates an efficient trainingspace everywhere. The AeroSling Slingtrainer is originally made in Germany. This mobile trainingdevice where you can have a complete workout everywhere! It helps to increase your strenght, stamina and muscle coordination. 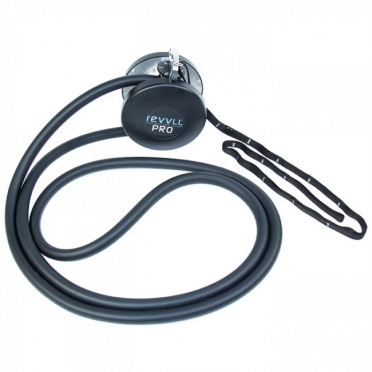 With the removable, integrated door anchor you can now workout almost anywhere. If possible, we recommend to use the anchor sling and suspend it around a solid object but sometimes this is just not an option. In that case, use a sturdy door and simply hook up your aeroSling ELITE using the door anchor. 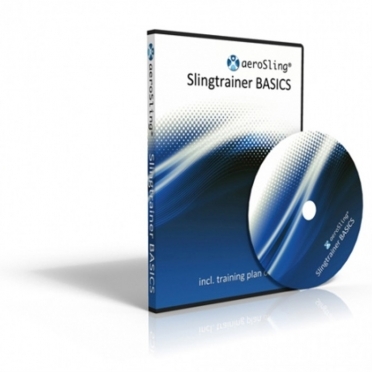 The original Slingtrainer DVD with all the basic exercises, clearly explained. 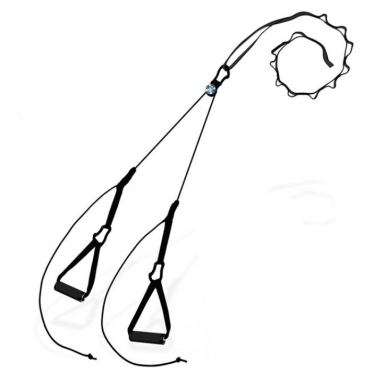 The AeroSling Slingtrainer is made of high quality materials and is suitable for daily and intense workouts. You can adjust the Slingtrainer easily and quickly for endless training possibilities. With the AeroSling Expansion Pack you can divide the "working rope" over 2 pulleys. So you can easily adjust the training width.